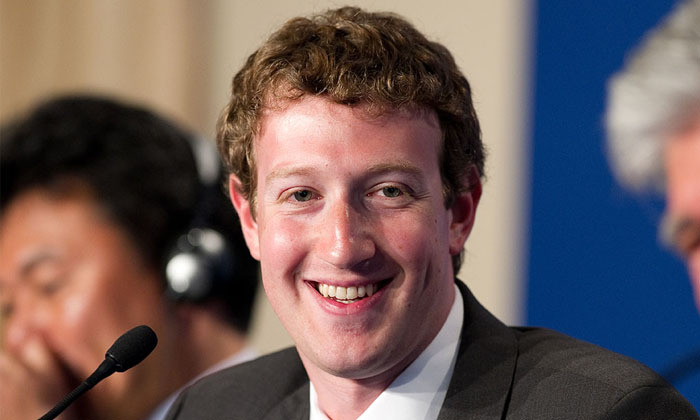 Based solely on employee feedback, Mark Zuckerberg has been recognised as the highest rated CEO in 2013. Facebook’s CEO scored a 99% approval rating from his employees, with SAP’s Bill McDermott and Jim Hagemann Snabe in second place, also with a 99% rating, and Dominic Barton of McKinsey & Company in third with 97%. Zuckerberg’s rating jumped 14% from last year, as he retains the number one spot. Rounding up the top five were Ernst & Young’s CEO Jim Turley (96%) and Northwestern Mutual’s John E. Schlifske (96%). The list, compiled by Glassdoor, found Facebook employees believed the company was smart, fun, supportive, transparent and constantly moving forward. Google’s Larry Page missed the top 10 by one spot, coming in 11th with 95%, while Tim Cook of Apple came in 18th with 93%, a 4% drop from last year. The CEO who made the best improvement was Krishnakumar Natarajan of MindTree, who jumped 21% to 28th place with 90%, and T. K. Kurien from Wipro, who gained 19% to 44th place and an approval rating of 82%. While most of the top 50 CEOs either improved or maintained their approval ratings this year, 16 c-suite executives saw a decline in satisfaction levels. The biggest drops were Capital One’s Richard D. Fairbank (38th place with 84% approval) and KPMG’s John B. Veihmeyer (47th place with 82% approval), both of whom lost 10%. Despite HR professionals being at the front line of the talent war, not all teams are armed with the same weaponry. ..
As the evidence continues to stack up against open plan offices, what can you do to ensure you’re making the office environment wo..
As they say, “it takes two hands to clap”. Hear from leaders (both women and men) from organisations including Diageo, DBS Bank, H..